PRELIMINARY LISITING- Photos are of SistershipThis 440 Express Bridge has beenRE-POWEREDand exceptionally maintained throughout the years. Some recent upgrades include; Garmin Multifunction display, Flat Screen TV’s, Tracvision, exterior soft goods and so much more. 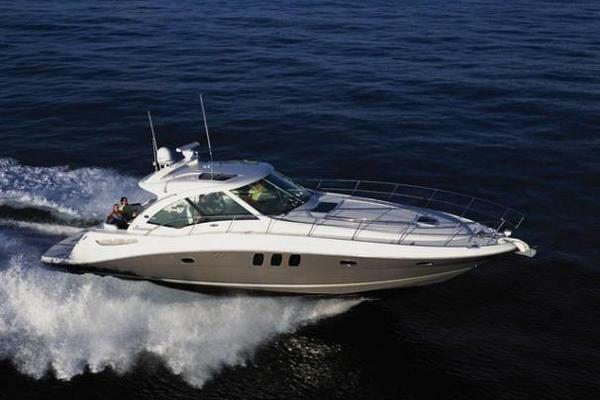 Call today to schedule your showing of this fantastic motor yacht. United Yacht Sales New Jersey would love to guide you through a personal showing of this 44' Sea Ray 440 Express Bridge 1997. This yacht for sale is located in Huntington, New York and priced at $99,900. For a showing please contact us by filling out the form on this page and we will get back to you shortly!